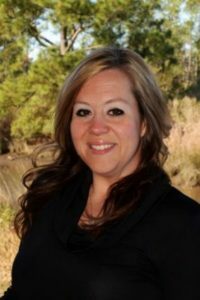 Kristin Stachura Allen is a Licensed Realtor with Busch Realty Group, LLC located in Gulfport, Mississippi. She is a life long resident of the beautiful Mississippi Gulf Coast and is a graduate from Gulfport High School. She resides in Gulfport with her husband Neal, and four children, Logan, Conner, Chase, and Breanna. Kristin possesses a strong passion for her family, her clients, her friends, and for helping others. She is extremely proud and thankful to come from a family who all possess a passion for helping others and serving our communities, as they all do so in several different capacities. At a very young age, Kristin developed a passion for helping others. She spent several years serving and helping others while working in the medical field as a care manager. She chose a career in Real Estate because she genuinely loves meeting new people, and it is a job that allows her to still help and serve others on a daily basis. Kristin is very proud to possess a great work ethic, a positive attitude, as well as her commitment to excellence in customer service, and her depth of knowledge and experience in the Real Estate industry. She epitomizes integrity, energy, and creative service in every detail of every Real Estate transaction. She specializes in helping her clients whether they are buying a home, selling a home, and in some cases, both. Over the past 4 years as a Real Estate Agent, Kristin is responsible for helping many families across the coast turn their dreams of homeownership into reality. Kristin’s genuine care and compassion for others, as well as her sharp attention to detail is nothing short of superior. She uses those great qualities to get to know her clients on a more personal level which, in turn, helps her not only meet, but exceed in her client’s expectations. Kristin knows that when it comes to buying or selling a home, finding the right Real Estate Agent is an extremely important task. From the first time you meet her, you will feel at ease with her professional and personable working style and will be confident in her ability to represent your best interest. She strives to provide her clients with as much knowledge and information as possible from the very first moment of contact, as well as she guides them every step of the way throughout the entire buying and/or selling process. Honesty and integrity, along with determination and dedication are just a few of her most important core values in all aspects of her life.